Two story villa with Wi-Fi and a private pool. 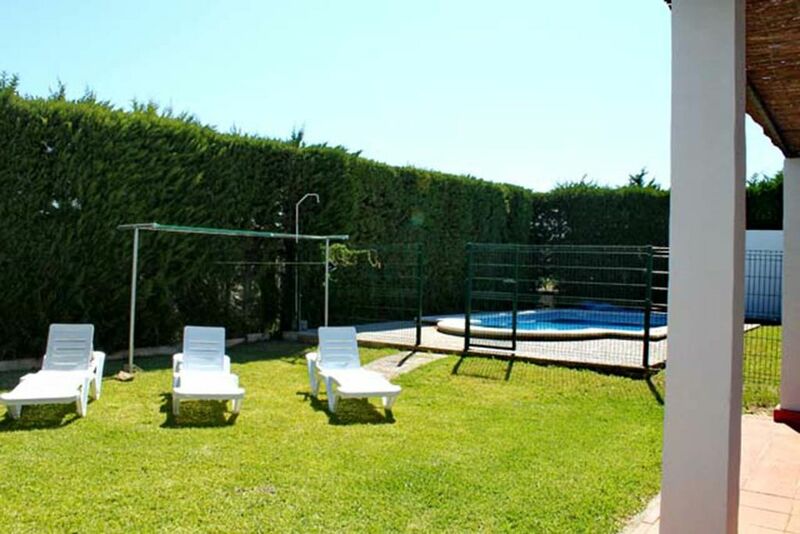 The property is located two minutes from Conil de la Frontera, and just three minutes by car to the town´s beaches of Los Bateles and Fontanilla, and just five minutes from the Cala de Aceite. The maximum capacity is for seven people. The property is built on two floors. The first floor has three bedrooms, two full bathrooms and a large terrace. Downstairs is a spacious open lounge and American style kitchen. The front part of the house has a porch, surrounded by shrubs and flowers, the gardens are shared with other properties. At the rear there is another porch and a private garden, with barbecue facilities, sun loungers and totally private pool. 15 minutes´ drive to the vast natural beach of El Palmar.